“We did skating drills where kids collapsed on the ice, but no one said a word. We were all better afterwards." That was the comment of a former player of a Montreal area Pee Wee AAA coach who was recently suspended until May for making his players do at least 100 pushups after a loss. I’m loathe to jump into what has become a bit of an open referendum on disciplining children. Actually, I’ve used the wrong terminology. The discussion about what he did isn’t at all about disciplining children; what he did was punish them. 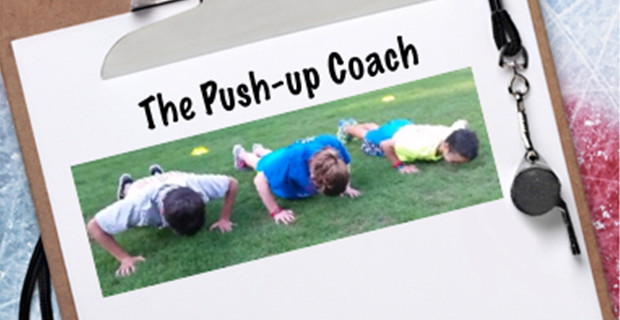 The message seemed to be clear: If we lose badly or with a poor effort or because our breakouts, which I’ve taught you a zillion times, are crap, you will do pushups (or similar) until your muscles no longer function. Or, as per the former player’s comment, I’ll skate the bejeezus out of you for whatever reason I can come up with to teach you a lesson. It’s true none of us is privy to how his governing body, Lac St. Louis, reached its decision. We don’t know if this was a pattern of approach he’d used or merely a “one-off.” If the above quote is an indication, it suggests a fellow who meted out exercise as punishment. Then, too, it’s been noted in the Montreal press he’s been one of the more successful coaches in the region, however one defines success. I don’t know the fellow nor anything about him aside from this episode. You’ll notice I haven’t used his name. While I’m prepared to rake him up and down for his actions, he’s not been charged with a crime. He deserves a modicum of privacy, especially as a volunteer hockey coach. I’m not condoning his approach; I just don’t think using his name furthers the point. There’s an ocean of difference between disciplining a kid or a group of kids and punishing them, let alone for a result or performance. Much like the old class detentions, which were mostly useless, push-ups, or any similar action, run contrary to the spirit of youth sport. Perhaps he figured it’d be a motivational tool or that they’d learn from this and work harder next time. Was the loss a personal embarrassment? Who knows? Was it just a mistake? Another coach in the organization kind of came to the chap’s defence by saying everyone makes mistakes and this was one. The action is a lot more than merely a mistake. The message has to be clear. Coaches are there to lead, teach, and help kids grow. This coach may have been doing some of that, but successfully negated most of it with a style that just doesn’t belong in youth sport.